Paid Donors: These donors are from a variety of backgrounds. We are fully aware that in choosing an egg donor, you are not merely aiming to achieve a pregnancy, but also making choices about the genetic make-up of your future child. Our donors come from a variety of backgrounds, many of whom are housewives in the age range of 22 to 30, who already have 1 or 2 healthy children. Egg-sharing program: These donors are patients of our IVF center in Delhi, India who are willing to donate half their eggs to you, in exchange for a waived or reduced-fee IVF cycle. These are young women from upper-middle class families, who have graduate degrees and work as lawyers, physicians or executives. They have been screened for regular IVF, which includes a total health assessment and a thorough infectious disease screening work up. Their eggs have been approved as healthy eggs that are ready for fertilization. Most women can donate 7-8 eggs per IVF cycle. We have teamed up with some of the largest and best-known IVF physicians running programs with the latest fertility technology in India. These centers are located at major hospitals in New Delhi, India where we provide the donor eggs. Other IVF centers in India require you to come to India for monitoring and ultrasounds during the pre-donor preparation phase. For many couples this is a cost-prohibitive expense. When you partner with Indian Egg Donors, the initial 3-6 week pre-egg donor phase can be performed in the United States, and we will work closely with your current IVF physician to maximize success. After the initial pre-egg donor phase is finished, you will travel to New Delhi, India for about a week to complete the program. Here, the male gives a sperm specimen and our staff creates the embryos in the IVF laboratory, which are then implanted in the potential mother. You can return to the US within 3 days after the implantation. The program in India is designed to meet American IVF standards and all egg donors are screened medically in India to comply with FDA specifications for embryo transfers. We are one of the only centers in India to have such stringent health care specifications to ensure the healthy, disease-free transfer of embryos to recipients. The program in India is managed by gynecologists with over 20 years experience. As the program has been designed by New York City physicians, couples going to India for the egg donor program can expect the same level of treatment and expertise as they would at any major IVF clinic in America. Indian IVF clinics have achieved over 50% success rate, whereas the average US success rate is much lower (see CDC report 2003). Indian Egg Donor's success rate is 70-80%! . 1. Call our office at 1-212-661-7673 or e-mail us for a pre-egg donor package and consent forms. Please complete the forms and return them to the address in the form instructions. Include copies of all your medical records as well as reports for past IVF treatments or other fertility attempts. 2. Upon receipt, the forms and medical history are reviewed by our staff. If you live in the New York City area or within close proximity, we recommend that you come in to the office for a personal consultation with one of our associates. If you are outside of the New York City area, please specify a time and date for a phone consultation. 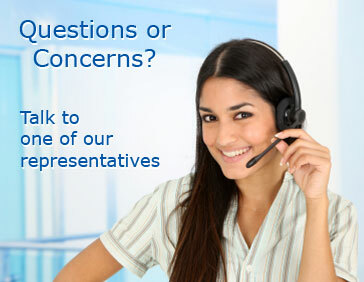 This is the best time for you to discuss all your concerns, medical history, preferences and other issues. The associate will then advise you on the next steps. 3. Next steps will depend upon your medical history. If you are in the New York area, egg donor pre-pregnancy cycles are available through Patients Medical . For the potential mother, these will include a complete gynecological exam as well as a sonogram and, depending upon your medical history, may include endocrinology testing, hormonal level reports, testing for heavy metal toxins and any other tests the gynecologist may deem necessary for the best possible outcome. The best results are achieved when the donor eggs are fresh, the sperm donor produces a fresh sperm specimen at the hospital in India, and the potential mother is ready to receive the newly-formed embryos on or around the third day when they are ready for implantation. This process will require you to spend about 2-3 weeks in India. If you have not been to New Delhi, we can help you design a complete vacation package to enjoy this beautiful city with nearby trips to the Taj Mahal and Jaipur. Because many couples cannot spend three weeks in India, away from other family members or work obligations, we suggest an alternative approach, which does not require the sperm donor to go to India. With this plan, the potential mother can go for as little as 4-8 days.Under the short stay approach, all the pre-pregnancy work is done either at Patients Medical in New York City or under the guidance of your own IVF specialist. To prepare, the male partner goes to a sperm bank convenient to himto give and freeze a sample of his sperm. This is then shipped by air to India, making it unnecessary for the male partner to make the trip. There are many reasons why giving a sperm sample ahead of the trip may be optimal, including timing issues and comfort in giving the sample on demand. In these cases, the IVF facility in India can use frozen sperm to create the embryos. These embryos can be frozen and stored, and are then implanted in the potential mother when she comes to India. Kindly note that while the results with frozen embryos have been excellent, they are not as good as with fresh embryos (the CDC indicates a drop from about a 50% success rate to 30%). The total cost of treatment in India is $12,000. This includes all payments to the Donors, IVF costs and medications for the donor, essentially all costs in India except as noted below. 1. The costs to prepare the recipient in the United States. These will be all the costs you incur in the USA, getting ready for the transfer prior to your trip to India. In many cases these may be covered by your health insurance. 2. Travel costs to India. We can help arrange low cost housing in New Delhi for your stay. 3. Medication for receipient mother to be after transfer. 4. Collection fees for three sperm samples with analysis and storage. 5. Storage of the remaining embryos after the transfer.